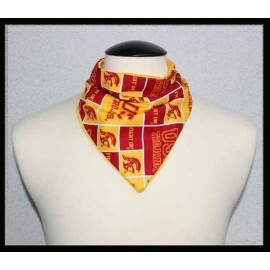 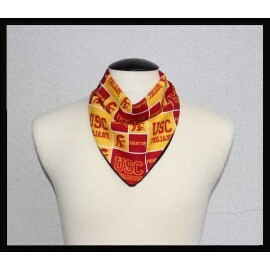 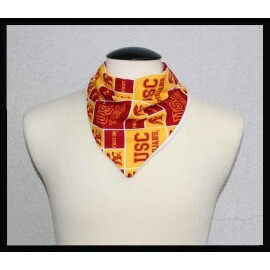 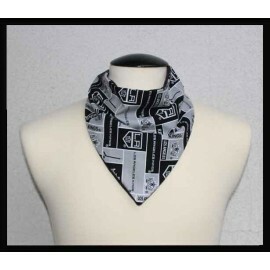 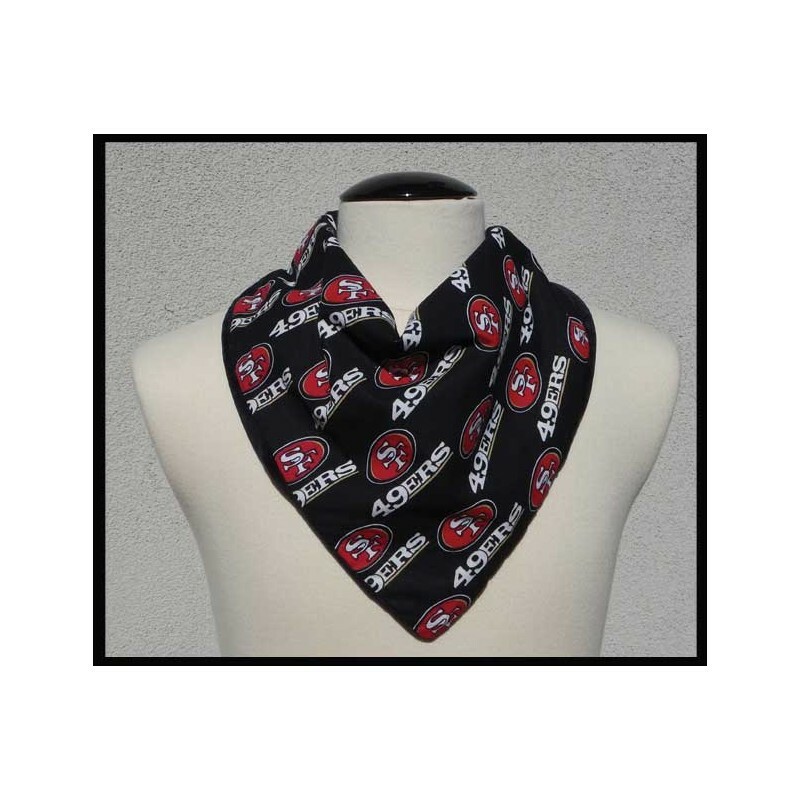 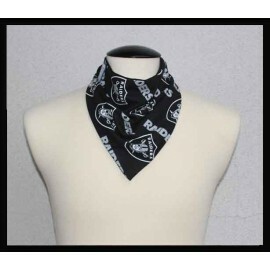 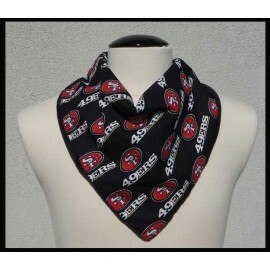 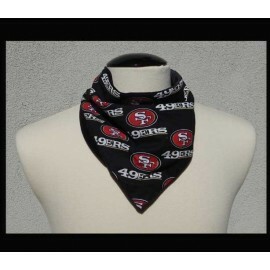 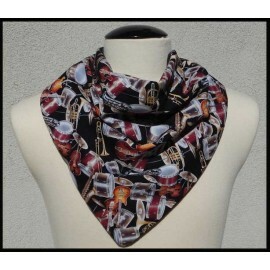 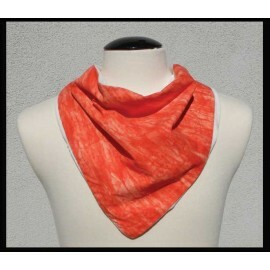 49er fan's cotton & black bamboo velour bandana style Rogey. 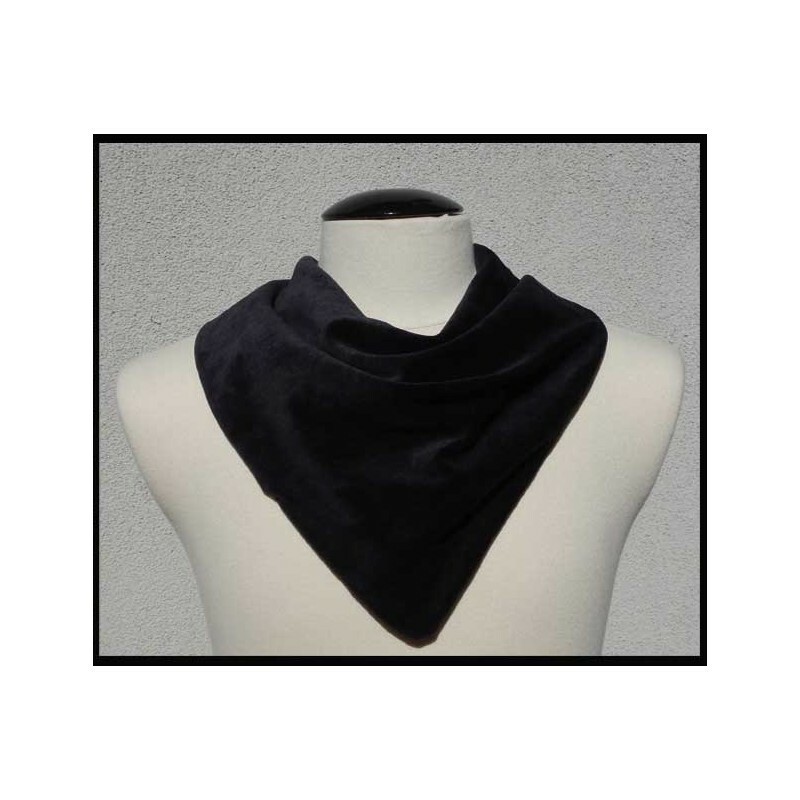 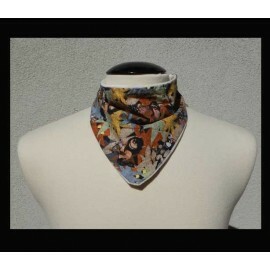 These bandana style Rogey clothing protectors are 3 layered in construction with a colorful cotton front, water resisitent liner, and backed with bamboo velour (70% viscose from Organic bamboo / 28% Organic cotton / 2% poly). 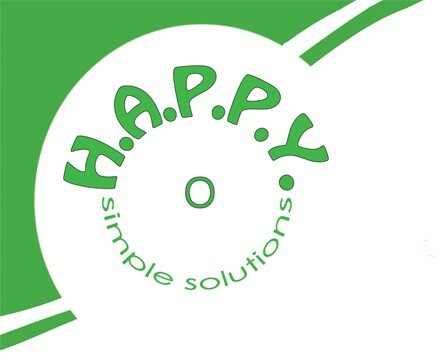 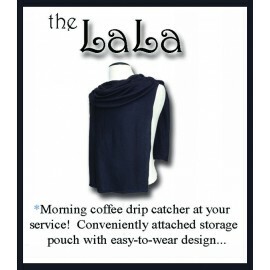 The have a built in metal clip for easy attachment. 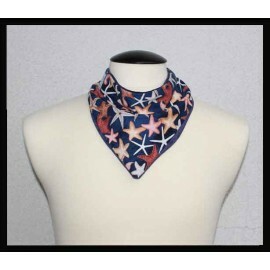 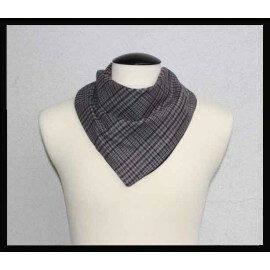 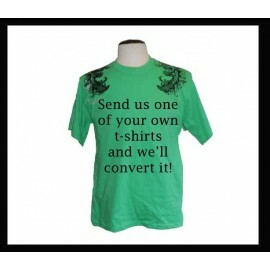 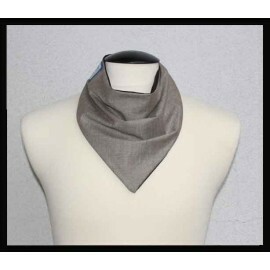 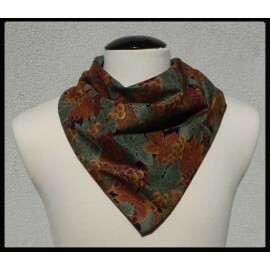 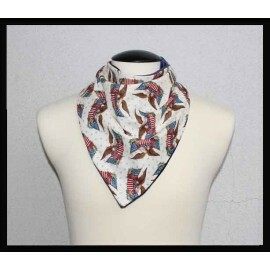 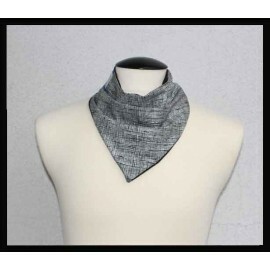 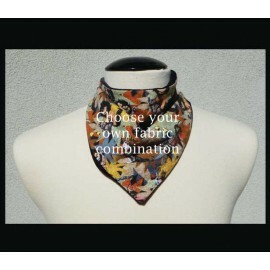 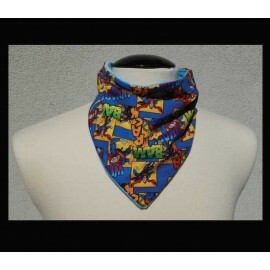 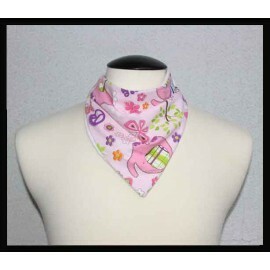 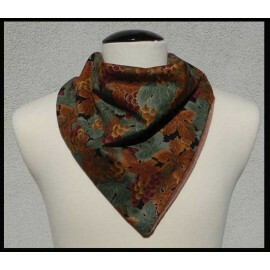 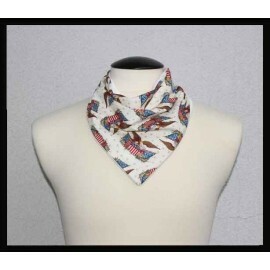 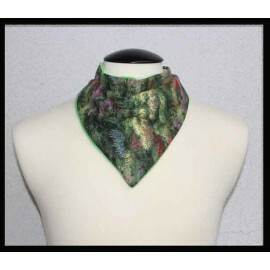 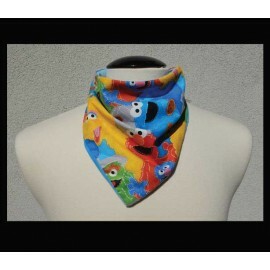 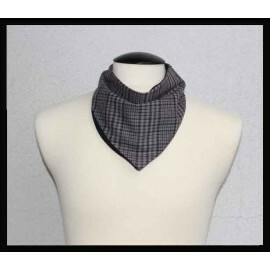 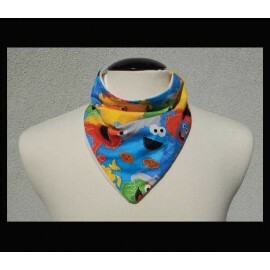 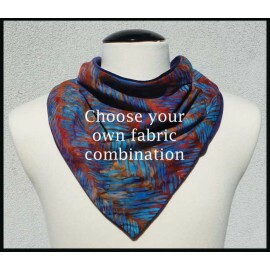 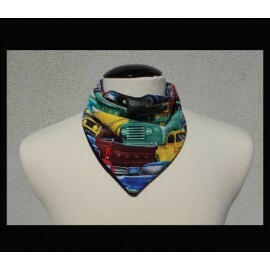 The bandana style Rogey cloting protectors are all reversible and made to toss in the washer & dryer.